We had a great 7 day trip with Chathu from Sri Lanka’s Safest Driver. He was very obliging and knowledgeable and nothing was too much trouble, even detouring so we could check out a villa for a friend. We also used this company from Negombo to transport us to Colombo, where we had a drink on the checkerboard terrace of the Galle Face Hotel to watch the sunset, then to dinner at Ministry of Crab restaurant (both highly recommended). He then drove us back to our hotel. Great service, and well priced. 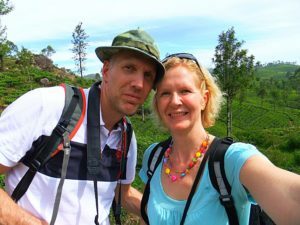 If you’re thinking of a trip to Sri Lanka with a personalised tour, this is the company for you.